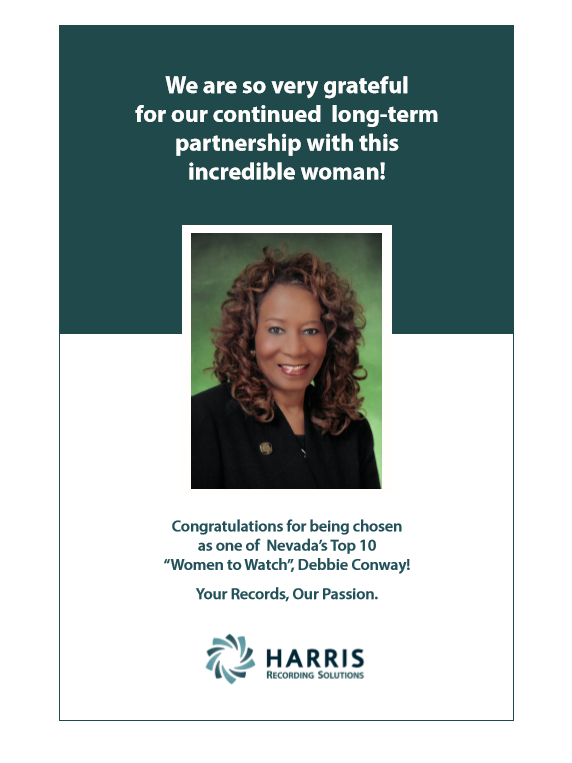 Harris Recording Solutions applauds the outstanding accomplishments of Debbie Conway, Clark County Recorder, for being selected as one of Nevada’s 2018 Top Ten Women to Watch! Debbie was recently featured in the Nevada Business Magazine where she humbly highlighted her personal and professional successes surrounding over 25 years of her service to the public. Debbie is a trailblazer; always focused on innovation, creative thinking, and truly making a difference for her community. Congratulations Debbie, we THANK YOU for your inspiration and dedication!